Attended 1St Drag Race: 1966, Half Moon Bay, CA Racing Career: Racing Career :Go-Karts are where I started racing. I was driven to win then in 1960 and I still am 57 years later. 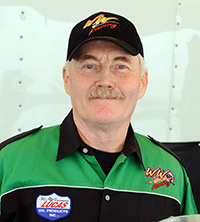 Daniel re-joined Jim in 2007 in the WW II effort after some years away from drag racing. He had toured with Jim's '72 and '73 Holy Smokes funny cars. Then in the late 70's, he campaigned his own twin-turbo pro comp car, which Jim drove to top speed of 232 MPH, 25 MPH over the national record in 1978. Daniel brings to the WW II team years of racing experience as an innovator and skilled craftsman, with an emphasis on research and development. He currently serves as Car Chief. Ron's racing goes all the back to the 1960s as he was involved in Top Fuel racing during the earliest fazes. 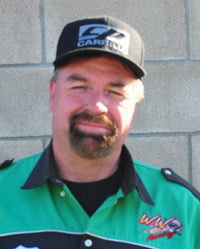 Ron's various fuel dragsters had many of the top drivers as their pilots, Larry Leventon, Bill Alexander, and the late Gary Ormsby are some of the better known. 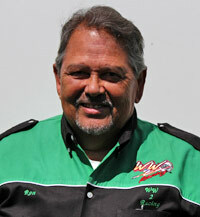 Ron retired from racing in the late 60s to raise a family and continue as parts manager for a local new car dealership. Ron's return to racing came in 1988 when the WW2 race team was formed. Ron continues in the parts business and one of his responsibilities are the assembly of all new engines and is one of the best in the business. Without Ron staying on with the team and wanting to continue racing I would not have bought the operation from Cheri after Jim Herbert passed away last year. Ron is my right hand at the races when it comes to making decisions how we want to run the car and is a wealth of information as well as a good friend. Race Experience: Started racing at 16 in a V W drag car. Then a blown gas Funny Car in CIFCA in 1988. Built my own CIFCA blown alcohol Funny Car in 2000 and raced it for 9 years. I was licensed in Nostalgia Top Fuel in 2011 and drove Dave Smith's Nitro Fever car. Drove and crewed for Mike Fuller's Forever Young Nostalgia Top Fuel car. I have been very fortunate to drive several other blown alcohol Funny Cars and Nostalgia Top Fuel cars. Duties: Race trailer inventory & preparation, truck & trailer "Clean & Shine", utility player. Comments: This ten years helping the Team are the most fun of my life.